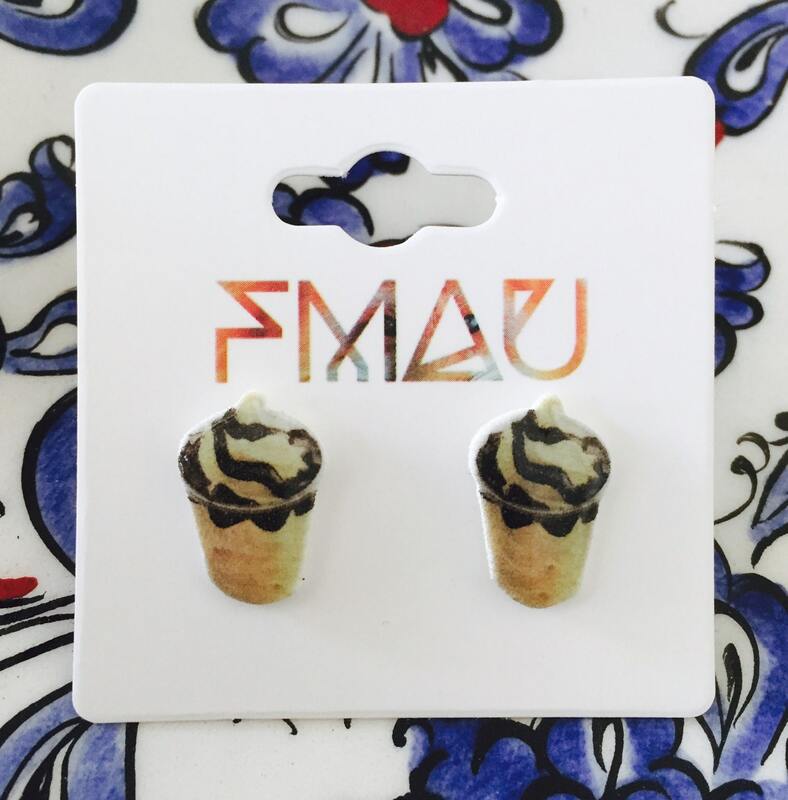 These yummy sundae earrings have been hand printed, cut, and baked then glued on a surgical steel post. It is then coated with a shiny resin for that perfect finish. These earrings will be made to order. If you would like a larger quantity please message me and I can update the listing amount.